As the interim assistant director for campus life and residential life, Karen Romero Sandoval focuses on student engagement by planning, developing, and managing programs and staff that support academic, community-building, social, cultural and developmental activities. Karen assists with New Student Orientation Program, student leadership, campus events and programs, party management, assessment and evaluation. Karen also helps with student housing including room assignments, housing-related data, and the annual Room Draw Process. Karen has worked at Cal State University, Fullerton (CSUF) at the Office of Student Life and Leadership as their Sports Club graduate assistant. 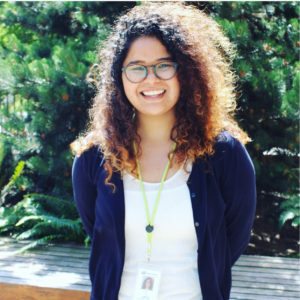 Prior to Harvey Mudd and CSUF, Karen was heavily involved in student government and was a student assistant at the Latinx cultural center at California State Polytechnic University, Pomona (CPP). Karen is currently pursuing her Master’s of Science in Higher Education at CSUF. She has a Bachelor of Science in Kinesiology, Exercise Science from CPP.